For Christians, we’ve entered a time in the four Sundays before Christmas where we look with anticipation to the “advent” or “coming” of Christ. But we don’t look with anticipation to the Christ-child yet; we look to the return of Christ the King to the world. It can give us pause as we contemplate what it might be like when he does return. How will we be found by him? Have we been following his instructions, his model, his lead? How can we do all that and still have time for our family and friends? As we come closer to Christmas each day this month, a time of the year for holidays for several major religions, Christians are thinking about gifts they will give to those they love, those they care about. And this time of the holiday season we can all step back and examine our lives, how we’re living our lives. Noted author Peter Steinke speaks of ignoring the anxieties that our society sets on us – to be pretty or rich or terribly ambitious so that we can have things, instead of caring about and loving our neighbors as ourselves. He suggests we should “reframe” our thinking, that we should frame the picture within which we’d like to work. This reframing takes time to think about, time to consider. Once we have the picture in mind that we’d like, we stay focused on it as we move through a situation or through the day. If we’re anxious, we compromise or lose our ability to think clearly. When we’re anxious, we can more easily become fearful, and when we’re fearful – when we’re afraid, we can more easily do hurtful things to each other, unintentionally or deliberately. We might stay away from the people we love and that love us. However, we can change. Christians aren’t “perfect” human beings that never make mistakes and are going to heaven. We’re called to follow Jesus Christ and his teachings, and when we make a mistake, to ask for God’s forgiveness, right the wrong when we can, and turn toward God again. We might go to heaven, but that’s God’s judgment when Christ returns, not our judgment. No matter our anxieties this time of year – the shorter days and longer nights, making enough cookies, getting enough money for the rent or the pharmacy or the grocery store, we can look to God and take time to think about what we should be doing, or shouldn’t be doing. We can take time to worship God and find better ways, less anxious ways, to prepare for the holiday season so we can continue to serve those in need and truly be with those we love. Wishing you and yours the best of the holidays. The Rev. David Kendall-Sperry is the rector of St. Peter’s Episcopal Church, 45 W. Winter St., Delaware, and can be reached at 740-369-3175. 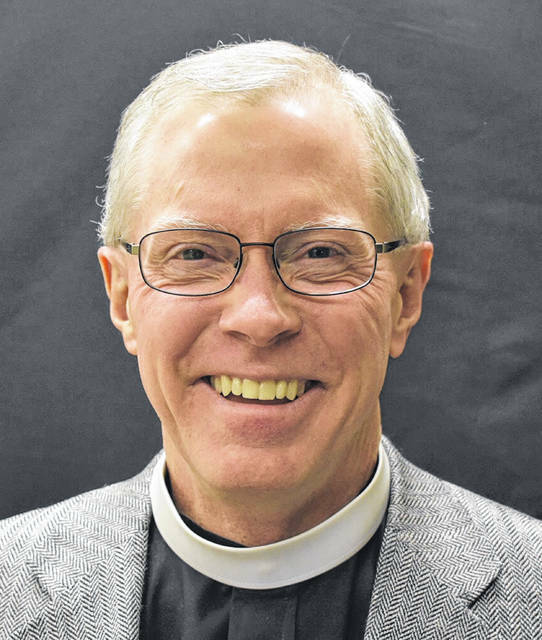 A graduate of Bexley Hall Seminary, he’s a member of the Delaware Ministerial Association, and a life member of the Brotherhood of St. Andrew, an Episcopal ministry to men and boys. He’s married and has three adult children and two grandchildren.